Yesterday I finally said goodbye to my lottie. Kevin and I move to Sheffield next Monday, and yesterday we picked up the last items from the plot. The plot will continue but with new growers, my friend Manishta and friends who joined me last year, have now taken it over. I admit to feeling mix of sadness and relief. Sadness because I put so much time and love into my plot over the last 4 years and it's hard letting it go. But relief too, as I was struggling with keeping on top of things in the last year due to problems with my back and health generally, and I felt I wasn't giving it the attention and love it needed. I'd loved having an allotment. In part just because I enjoyed the work, the growing and the eating, but also because I enjoyed the community. 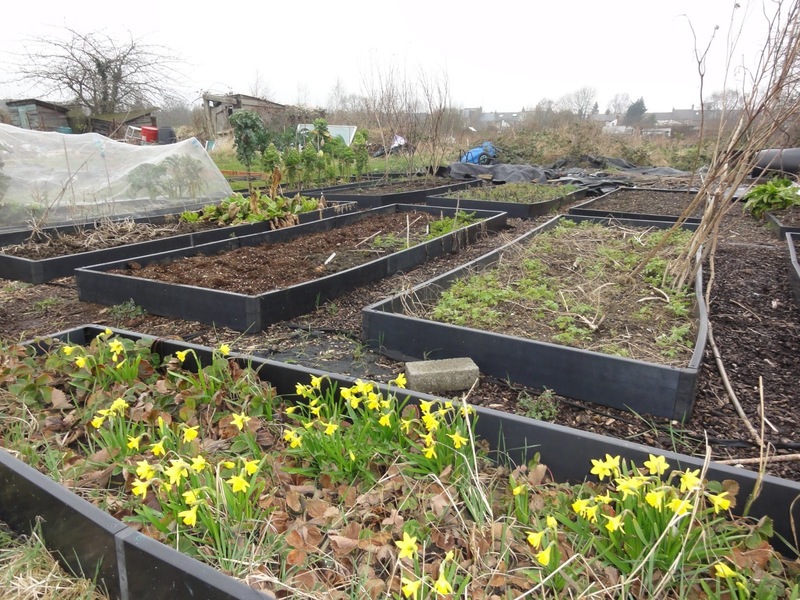 And I won't be giving up these elements per se, rather downsizing my growing at my new garden in Sheffield, and joining local community gardens/groups once I'm settled. Varieties include: Persian Star, Music, Georgia Fire & Silver Rose. I will also be returning to the plot in July this year, to help dig up the garlic. 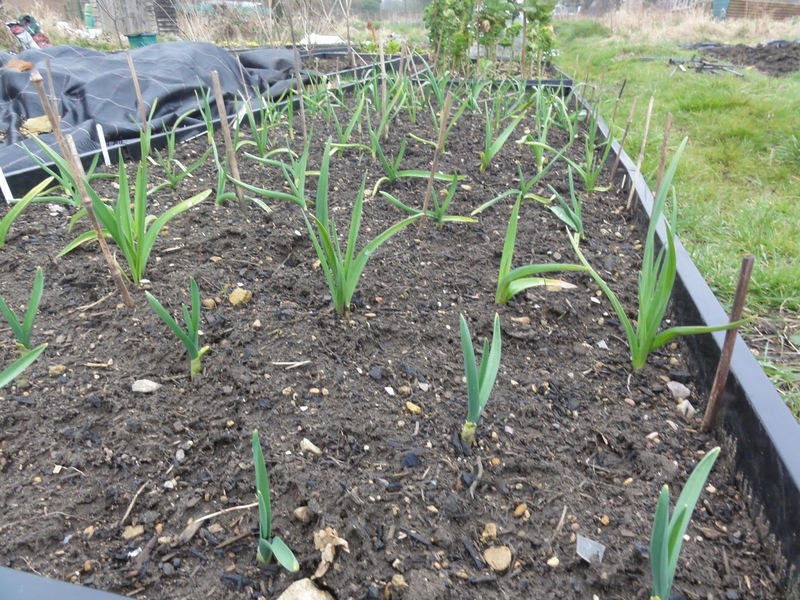 Those who know me know that I'm a bit mad for growing lots of unusual varieties of garlic and I want to continue. So I'll join Manishta and the others to dig up and share the crop in July, and return to Sheffield continue my tradition in my new city. Its always sad to leave something you love behind, good luck with your new garden in Sheffield. I'm sure you will make it as good as your previous ventures. Hi just found your blog, looks like your plot was a cracker! Will look forward to seeing what your garden looks like. We're just about to buy a house with a garden; really looking forward to doing a different kind of gardening to what we get up to on the allotment.